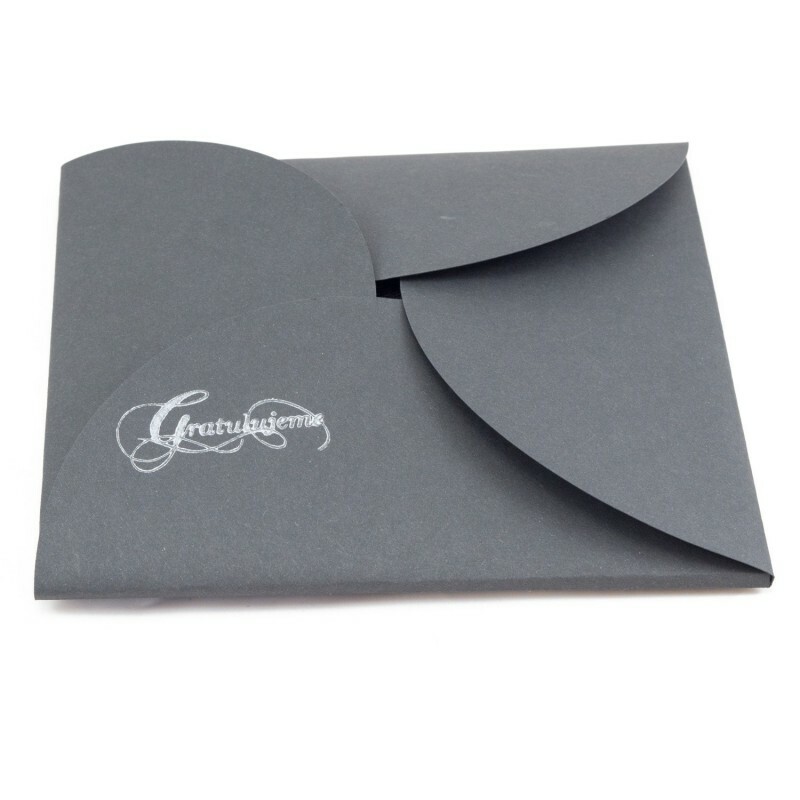 Gift wrapping for graduation cap is an elegant accessory for your gift. 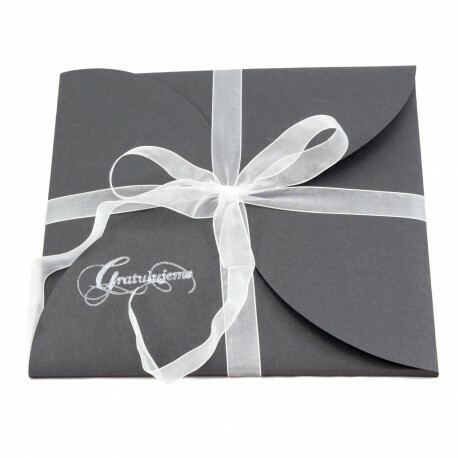 Let us wrap your graduation cap in a gift box which is tailor-made for graduation caps. The gift wrapping is designed for our graduation caps. Firstly, we wrap graduation cap in a white silk paper. Subsequently, we use a simple elegant gift wrapping custom-made for graduation caps. 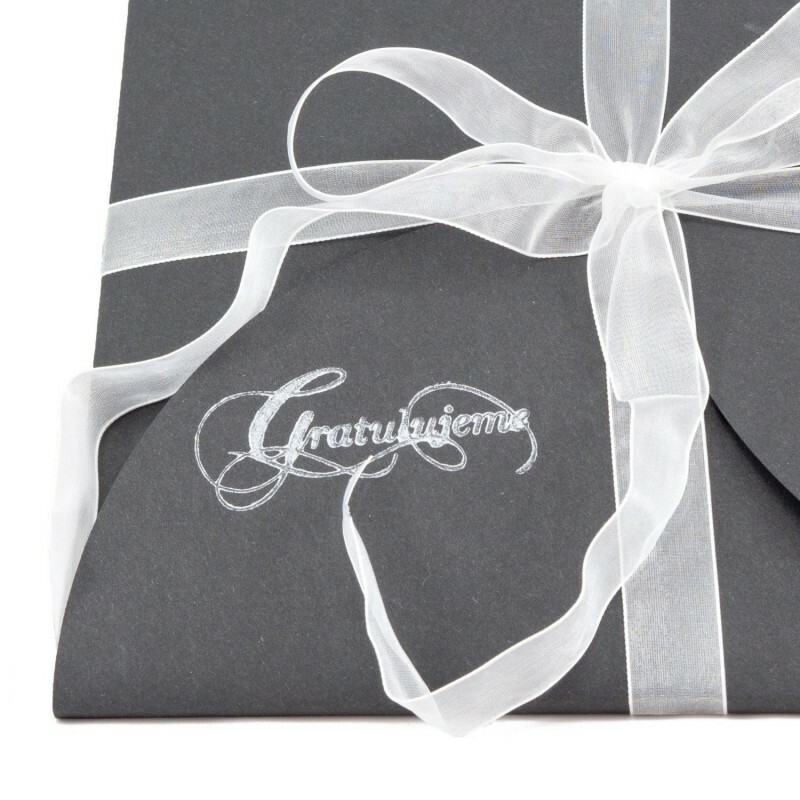 Each of our wrapping is decorated with a shiny silver inscription "Gratulujeme" and wide semi-transparent white ribbon. 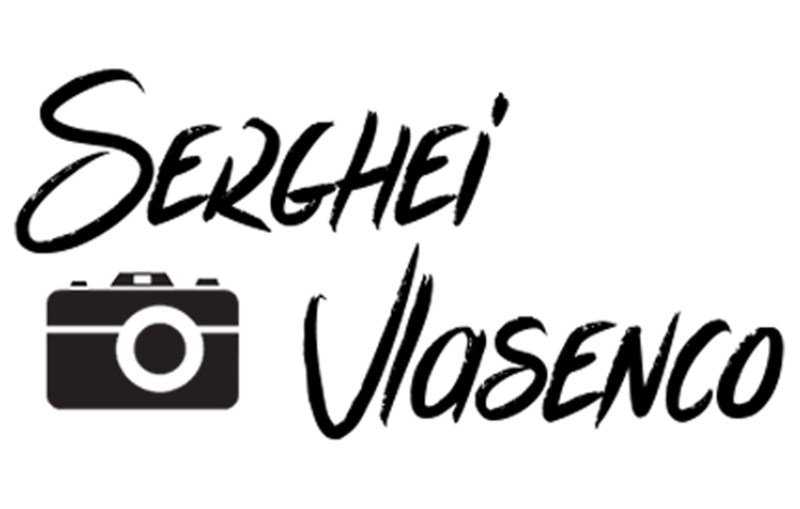 The wrapping is made of hard black cardboard 225 g/m2.